Note: This game is an English-translated (extremely well done, I might add!) Turbografx-16 reproduction hu-card that was played on a component video-modded TG-16. Legend of Valkyrie is a beautiful action-RPG to behold in component video. Note 2: This game may be relatively ‘obscure’ to the casual gamer, but there are numerous websites that have terrific information on it, as well as the other games in the series. However, most of the websites I discovered primarily concerned themselves with the arcade version of the game, not the PC Engine (or Turbografx-16 in the U.S.) version. I wanted to create a review that also, perhaps, adds some additional information that I could not find elsewhere about this console version. As far as the story of the game goes, this review will not be as detailed as what you might find elsewhere, but I hope, if you’re interested in this version, this review may be of some use to you. Versions: Valkyrie no Densetsu, or Legend of Valkyrie, was released for the arcades in Japan in 1989; the only home console to receive a port at the time was the Japanese PC Engine (re-named the Turbografx-16 in the U.S.). The U.S. never received the game, and it was only fairly recently that the game was translated into English (thank you, translators!!!) While the PC Engine version of the game shares many similarities with its arcade counterpart, it is not a direct port. Other websites do outstanding jobs of describing some of the basic differences between the arcade and PC Engine versions, but this particular review will focus solely on the PC Engine version, or, to be incredibly specific, the English-translated version that was made to be played on the U.S. console, the Turbografx-16. Valkyrie and Sandra’s adventure on the PC Engine is not an exact replication of the arcade experience. Players: 1. The arcade version had two players, with Player 2 controlling Sandra, but the PC Engine had not the horse power of an arcade machine, for all its positives. Genre: Legend of Valkyrie is an interesting game to categorize. It’s probably best described as a hybrid of genres; however, having completed it, I would best describe it as an adventure-RPG, not so dissimilar from Zelda or other Turbografx classics, Neutopia and Neutopia II. It has an overhead perspective, which clearly gives it the appearance of an adventure-RPG, but it also adds platforming elements through the protagonist’s ability to jump from platform to platform at particular times. Also, Valkyire fires a projectile almost constantly, making the game feel reminiscent of a run ‘n gun shooter. The addition of a basic item screen, Experience Points, the accumulation of gold to buy items in shops, the ability to learn and use magic spells, and the ability to lightly ‘level up’ your character (by adding heart and magic containers) as the Stages progress, however, in my opinion, cement this game into the adventure-RPG genre. Legend of Valkyrie is an adventure-RPG with shooter and platforming elements thrown in. Additionally, the antagonist of the game is Kamuz, who seeks to have his evil wishes granted by the Golden Seed. Valkyrie, with help from her friends along the way, must vanquish the underlings of Kamuz before confronting him herself. Cutscenes advance the story after each Stage. Control: Button I swings your sword, and your sword fires whatever weapon you have equipped. Your basic attack, if no stronger weapon is equipped, is a straight, short-range blue fireball. With whatever weapon you have equipped, you can switch on the turbo-fire and fire quickly. With the turbo-switch turned off, if you hold down Button I, your magic spells can be cycled through for you to pick. More on magic below. Button II makes Valkyrie jump. Tapping it lightly makes her hop, while holding the button causes her to make a long leap. Useful in the game is hopping or leaping across the screen – she moves much faster this way than by walking. Start pulls up your item screen. Select has no function. A number of NPCs will give you clues or other assistance as the story progresses. Item Screen: Your item screen shows your current Experience Points, Gold, Magic Spells you’ve learned, how many lives you have remaining, and any items you’ve accumulated, from different types of weapons to items unique to the game’s 7 stages. Important to note about Experience Points (earned through killing enemies): You will earn extra lives at 10,000, 60,000, 120,000, and 200,000 EXP (possibly at higher levels as well, but I finished the game with a bit over 260,000). This is the main purpose of Experience Points. The item screen comes in handy, particularly when you need to know what weapons you have left. Hearts & Magic: You begin the game with 4 hearts and 4 magic containers. Every time you take a hit, from any enemy, you lose half of a heart. In order to learn magic, you must seek out the old wise man, Babasama. 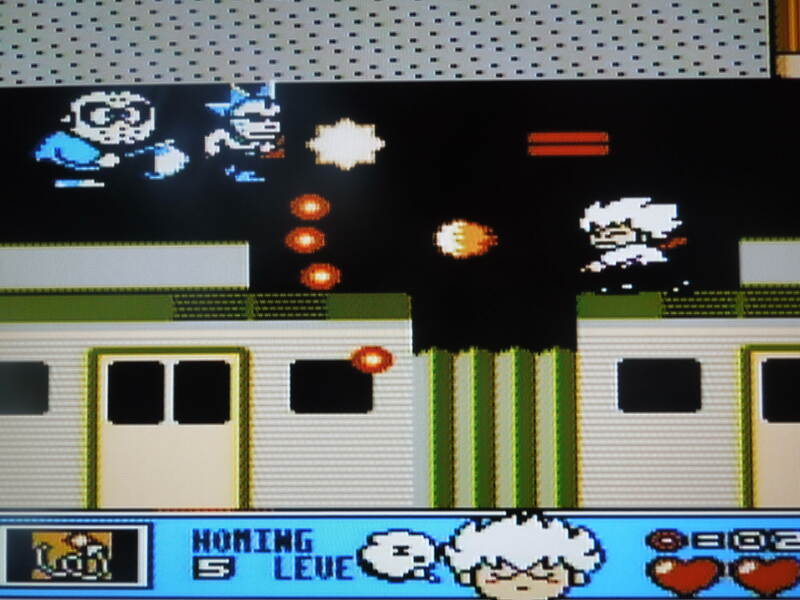 Babasama is located in different, often out-of-the-way or hidden places throughout the game. Sometimes you have to achieve a certain short objective in order to get him to appear. If you miss finding him and don’t acquire a spell in a particular stage, you can’t go back – so seek him out by fully exploring each stage. As I played the game, I gained additional heart containers and magic containers after beating particular stages – for example, after beating the boss ‘Treant’ from Stage 2, I began Stage 3 with five heart containers from there on out. Babasama the Wise Man bestows Magic spells…if you can find him! Using Magic: Holding Button I will pull up a small display cloud beside your character and pressing Left or Right will cycle through the spells you’ve acquired. Releasing the button while on a particular spell will use it. However, if you realize you don’t want to use a spell after pulling up the display cloud, all you have to do is scroll through the spells until you reach the blank cloud and release, and you’ll cancel any spell casting. Of note, Valkyrie cannot be harmed while preparing to cast a spell. Use that to your advantage. You can’t be harmed while scrolling through your spells – The BIG spell is INCREDIBLY useful against bosses. Weapons: Valkyrie will find weapons in treasure chests scattered throughout the 7 stages, or she can buy them from Zoul, the merchant whose shop can be found (usually multiple times) in each stage. These weapons range from homing beams to bombs to 3-way shots. Each weapon has a certain amount of ‘ammo’ to it – you’ll run out after firing around 160 shots with most weapons, although, unfortunately, there’s no on-screen indicator of how many shots you have left for each weapon. Weapons are automatically equipped when they’re next up in your weapons que, and there’s no way to manually select a particular weapon at a particular time. It took me a few minutes to figure out why I couldn’t immediately start firing my 3-way shot after I bought it from a shop – I had to wait until the ammo from my previous weapon was exhausted before the 3-way shot became automatically equipped. *Also, note that Valkyrie carries a shield at all times, but she can’t use it at all! It would have been great if there would have been a block button – I’m looking at you, un-used Select button. Zoul the merchant sells weapons, health items, or occasionally, a dress for the heroine. Gold: You accumulate gold by killing enemies. All enemies drop gold coins, or, in later stages, gold bags. They come in increments of 5, 20, or 50 gold pieces. Accumulating gold is important to being successful in the game. Zoul the merchant sells weapons or heart re-fills in his tent, often at exorbitant prices, and you will need these things on your quest. Items: There are other items that you’ll collect in the game’s 7 stages. In Stage 3, I collected the Red Dust and Blue Dust, although I absolutely could not figure out what good they did me. In Stage 4, I bought the Exquisite Dress for 3,000 gold from Zoul in his shop – it let Valkyrie wear a pink dress that replenished a little life and magic until I got hit. There are other items as well, some that are obviously useful and others that are a bit more confounding. You’ll find a range of items on your quest to stop Kamuz. Stages: 7 stages comprise Legend of Valkyrie. Each one is unique, colorful, and dangerous! Swarms of enemies, obstacles, and (sometimes slightly) difficult jumps await in each stage. The main objective of each stage, in addition to furthering the plot with cutscenes at the end of each one, is to find Babasama the wise man and learn a new magic spell, collect gold and weapons, and beat the boss. *Note, also, you will sometimes have optional mini-objectives within stages that have an impact later in the game – in Stage 4 you have to find Landa to get the Pepper to give to Babasama in Stage 6 in order to learn the Chameleon spell. Every stage, with the exception of Stage 6, ends with a boss fight. Stage 6 has an Elephant that asks you if you want a test of Knowledge or Strength – the Strength test lets you play a little Galaga-esque shooting screen with Valkyrie while the Knowledge Test lets you try to put together puzzle pieces in a set amount of time – being either good or terrible at these games doesn’t matter, as you’ll advance to the final stage regardless. The bosses in Legend of Valkyrie range from pushovers to powerhouses. Strategy: Legend of Valkyrie will lull you to sleep with its easy first couple of stages, before you realize that this game is actually a good deal deeper in terms of how you approach it if your aim is to beat it. It is paramount that you collect gold, collect gold, collect gold. Also, remember the extra lives I mentioned (that you earn for hitting certain Experience Point totals)? It is crucial that you try not to use them and let them carry over into the later stages of the game. In each of the 7 stages, if you die and do not have an extra life (or two) in reserve, you are given the option to re-start the Stage from the beginning (any gold or experience you accumulated will be re-set to what it was when you first began the Stage). Beyond the first couple (easy) stages, you’ll often need multiple playthroughs of each stage to memorize the locations of enemies, treasure chests, Zoul’s shops, and hidden locations, as well as a few encounters with bosses to figure out how best to handle them. The Tornado spell, followed by the BIG spell, will help vanquish the Ice Stage boss. Password: Legend of Valkyrie has a great password system. You get a password from Babasama after the completion of each Stage. The password perfectly records all your stats – Experience Points, Gold, Weapons, and Lives Remaining. While the game could be completed in one sitting, I certainly did not, and I used the handy password system to save my progress along the way. Passwords, given by Babasama, are short and handy for advancing the quest. Conclusion: Legend of Valkyrie blew me away with how addictive it was. After Neutopia and Neutopia II, I was eager to discover any additional overhead adventure-RPG hu-cards (or Turbochips), and this one was the ticket. Valkyrie is a perfect difficulty – far from a cake-walk, but it has that je ne sais quoi that kept me coming back until I beat it. Some stages were frustrating before I realized I couldn’t just blaze right through them. While each stage is basically linear, there are secrets to be found that help you succeed if found. I love the simplicity of the RPG elements with just the right amount of story-telling to make the plot interesting without being anywhere close to complex. 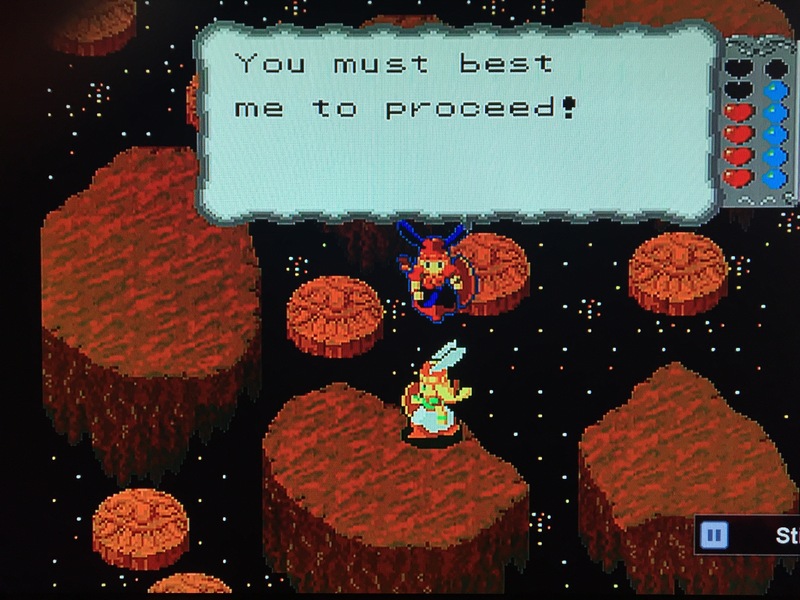 Legend of Valkyrie is a gem for the PC Engine and Turbografx-16, and finally it has an English translation! The Southern Gentleman’s Opinion and Letter Grade: A+ Outstanding game! Also, I highly recommend the English-translated version of this game. While there’s not a ton of dialogue, I could easily see one getting confused without the hints given by the NPCs in the game. Also, some characters ask you questions with multiple choice answers – getting them right often gives you bonus health or magic. You can even make Legend of Valkyrie a high score game, if you’re shooting to get the most Experience Points possible by end of the game. This entry was posted in Turbografx-16 - Legend of Valkyrie. Bookmark the permalink.